A subsidiary of a Long Island-based seller of designer and celebrity perfumes has filed an $18 million lawsuit against Jay Z, claiming the entertainer breached a contract when he refused to make public appearances to promote his signature fragrance brand, Gold Jay Z.
Parlux Fragrances LLC, owned by Bellport-based Perfumania Holdings Inc., alleges that the lack of responsiveness by Jay Z, whose real name is Shawn Carter, and his failure to make appearances has resulted in millions of dollars in lost sales and profits. The suit was filed Monday in State Supreme Court in Manhattan against Jay Z and his company S. Carter Enterprises LLC. “In the fragrance industry, it is virtually impossible to sustain the success of a celebrity fragrance brand without . . . promotional support from the celebrity in the form of public appearances,” according to the suit. Parlux entered into an agreement with Jay Z in April 2012 to have the exclusive right to manufacture, distribute, promote and sell fragrances with Jay Z’s trademark. But since the launch of the Gold Jay Z fragrance in October 2013, Jay Z has not made one public appearance to promote it, even though he should have made at least six such appearances by now, the filing said. Parlux said it arranged for Jay Z to appear on “Good Morning America,” be interviewed for a cover story in Women’s Wear Daily, and do store appearances at Sephora and Macy’s, but he allegedly declined. He also refused to make social media posts to promote the brand and refused to appear in a promotional video, according to the suit. The Jay Z fragrance brand was projected to make $15 million in sales in the first year and $35 million in the second and subsequent years. However, the brand generated $14 million in sales in the first year and only $6.1 million in the second year, the suit says. “Parlux has experienced a net loss on this brand after taking into account marketing and promotional expenses, guaranteed minimum royalties and all other operating expenses associated with the brand,” according to the suit. The company is seeking to void the contract and collect compensatory damages totaling at least $18 million. 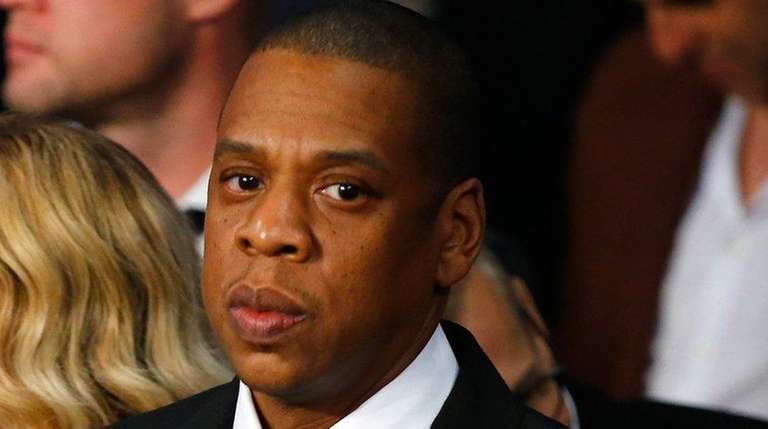 Parlux is also asking for a court order for Jay Z to return nearly $2 million in royalty payments, 300,000 shares of stock in Perfumania, and 800,000 warrants to purchase Perfumania stock. The suit says Jay Z rejected five concepts for a $20,000, 18-carat gold bottle and cap designed by Jacob the Jeweler for a consumer contest designed to promote the brand. Jay Z also kept the prototype gold bottle, the suit alleges.